Extra heavy duty material and suitable for areas that have heavy usage. 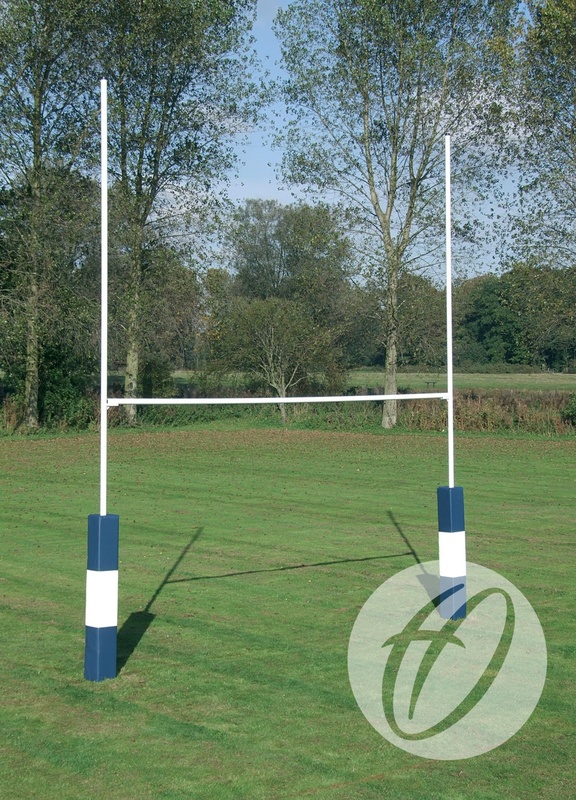 Hinged adaptors with high tensile bolts make erection of posts easier and safer. Manufactured from 3mm thick steel tube. Uprights 7m long x 76mm diameter. 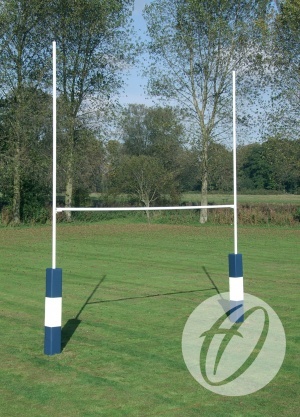 Crossbar 5.6m long x 76mm diameter. 918mm deep sockets with 83mm inside diameter complete with stabilising fins and base plates. Heights quoted are out of ground height. Crossbar height 3.0m from ground to top of crossbar. Q: How does the hinged post assembly roller work? A: It simply bolts on to the rear of a tractor roll bar. The tractor takes the weight of erecting or taking down hinged rugby posts.